The BA-22 emergency assembly is a high speed emergency parachute system. This back style parachute is configured for use in fixed wing aircraft, such as: C-141, C-130, KC-135, B-52, C-5, F-5, T-37, T-38, A-37 and F-100. The BA-22 emergency assembly is currently used by Air Forces world wide. At altitudes below 14,000 feet, the crewman will pull the manual ripcord when clear of the aircraft. 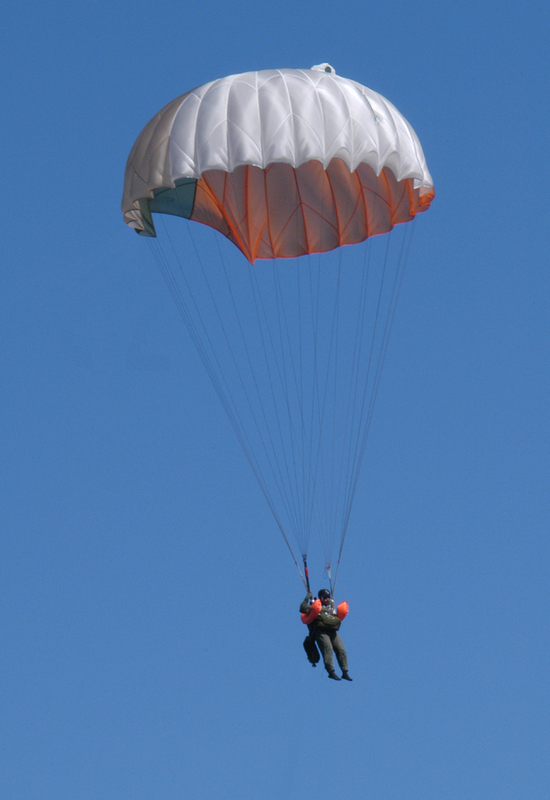 For landing, the crewman can steer the parachute so that they are facing into the wind, to reduce the potential for injury. After landing, one or both of the parachute release fittings may be activated to prevent dragging during windy conditions.